Devastated and in total shock! A few days after arriving home from Formula 1 Spanish Grand Prix, i was notified that Nicky Hayden, the 2006 MotoGP World Champion had passed after his cycle accident 5 days prior. As I look up at his first MotoGP victory photo hanging on my wall, it’s hard to absorb that we all won’t be seeing that infectious smile and personality that we all grew to love. I started to become a Nicky Hayden fan when i started following MotoGP in 2005, which was just a few years after getting my first motorcycle. And of course at the time he was 1 of 2 riders that was American, on the factor Repsol Honda(I road Honda at the time), and we were only a few weeks difference in age. How could I not become a Nicky Hayden fan? Once Indianapolis GP came on the race calendar, it was time to see & hear these motorcycles in person, along with see my favorite rider, Nicky!! Over the years I would attend every IndyGP and a few in Austin. I was lucky enough to have some conversations with him over the years, even with his limited time during a race weekend. He was always happy, motivated, determined to do his best week in and week out and that was one of my many reason I looked up to him. Formula One returns to Europe with an exciting amount of overtakes for first position. If you were seated in turn one, you got some to see some great overtakes and some unfortunate crashes that took out some favorite drivers. Right from the start, Sebastian Vettel who started from pole outpaced Lewis Hamilton to the first corner and takes the lead. Where as Valtteri Bottas touches Kimi Raikkonen going into turn one, which in return sends Raikkonen colliding into Max Verstappen. Kimi and Max are forced to retire. Felipe Massa gets a tire puncture going into the first corner and slides into the gravel; all this going into the first corner of the first lap! After a few laps things start to settle and drivers get into a rhythm. Lap 10, Vettel is 2 seconds head of Hamilton, but the race is far from over. After a pit stop by both drivers, Hamilton was able to switch to the softer compound, where Vettel had already used it earlier in the race. Hamilton is able to cut the gap in half from the pit stop and is now able to fight for the win. With the first attempt to overtake, both drivers make contact and Hamilton is push off course. But with only 20 laps remaining, Hamilton in his Mercedes is able to overtake Vettel. Sadly the German wasn’t able to keep the same pace as Hamilton and was able to secure his 2nd win this season! Ricciardo was able to take 3rd spot after Valtteri Bottas’s failed engine and and the collisions that happened at the start of the race. Its not the way Red Bull Racing wanted to take 3rd, as their recent upgrades showed little to no improvement against the other teams. One of the best events of the year! Car Show, Track Day, Burnout & Rolling Races; something for everyone! Weather wasn’t too cooperative this year with the dense fog throughout the day, but it did make for some interesting photos! Enjoy! What an exhausting, exciting, & fun filled weekend! I was lucky enough to get invited to cover this year’s inaugural Formula Drift World Championship in Canada. The event took place at the Autodrome St. Eustache, just 30 or so minutes north west of the beautiful city of Montréal. I’ve been covering FormulaD events for the past 10yrs in New Jersey and the crowd and atmosphere at this event like no other; a very European feel. Arriving early to kick off the two day event, we were greeted by eager drift fans that had been camping out the night before at the track. Everyone had their campers and tents all setup to enjoy the whole race weekend, amazing! From the fan turnout the first day, you would of thought it was the start of the top16. Nearly 40 driver from 8 different countries showedto compete in Round 8 of Worlds. Out of those 8 countries, Canada had a strong showing in drivers and they weren’t going to make it easy for anyone to walk in and take the top spot. Kevin Morin trying to battle for the top 32, gave Veteran driver Kean Kearney in his Oracle Lighting/Achilles Motorsports Dodge Viper a run for the next round as the judges and crowd went for “One More Time!” twice before it was decided that Kearney had won the battle. The crowd was already on cloud9 from the exiting and some nail biting battles, but GoFast Energy Drink & FormulaD want to step it up with a tricked out Semi-Truck, carrying a guy with a Jetpack! Before the start of the top16, this guys shoots into the air and circles the track and lands safely back onto the Semi-Truck. Wow…what a way to start off the final part of this weekend! Now lets get on to some exciting Battles! Canadian drivers continue to impress and you can hear the locals cheer loud and together when one of their drivers enters the track. Tho Toronto driver Pat Cyr driving the Eneos Oil/Yokohama Tire Scion FR-S battled hard, has mechanical damage from a previous battle and is forced to retire claiming 10th. As we work our way up to the podium battles, Canadian driver Tomy Boisvert-Bellemare(Canadian Local) in his Signature KCS Nissan S13 give Marc Lanreville and Matt Field a great battle and ends up winning and continuing to race for top position, WOW… Canada could take this!! While the final battles came down to the wire, and with all of Canada routing for Tomy, Fredric Asabo in his Rockstar Energy Drink/Hankook Scion tC take the final top step on the podium. It really was a fierce battle and props to both drivers for finishing the weekend as it started. I can’t wait to cover another Canadian Round after this weekend. Well worth the drive! Check out the nearly 550 photos in the gallery for you enjoyment! We return after a three week summer-break with Movistar Yamaha riders Valentino Rossi and Jorge Lorenzo only separated by 13 points and excited to see them continue the fight at the legendary Indianapolis Motor Speedway. While Ducati and Honda are not currently fighting for the lead, both Italian riders, Andrea Iannone and Andrea Dovizioso have had a stronger first half of the season. At the Honda Team, they have had a rocky start to the season, but IMS has always been good circuit to both Dani Pedrosa and Marc Marquez, who has never lost a round on the American soil. After media day, a lot of talk has been going around with some riders and the track. Will Indianapolis be on the schedule next year? Is this the last home race for Nicky Hayden in MotoGP? Aprilia makes debut at IndyGP with Stefan Bradl after his team has financial issues. It’s exciting to see a new manufacture join MotoGP; good years ahead for Aprilia and MotoGP. This will be the second year on the resurfaced track and the weekend looks to be in the mid 70’s all weekend; everyone is looking forward to the free practices! As expected, the first day of free practice(FP1&2) go to Jorge Lorenzo with Marquez on his Repsol Honda less than three thousands of a second behind! And it looks like the Ducati team has continued their good fortune after the break following in third and forth on the day. All eyes are on the Doctor though and he has some work to do as he finished the day in tenth. Qualifying day quickly arrives and FP3 the riders do some shuffling in the standings. Marc Marquez ends up finding an impressive four tenth of a second while Jorge Lorenzo is on par with his times as yesterday. Bradley Smith on his Monster Yamaha Tech 3 has an amazing lap and almost takes the top of FP3 with only three hundreds of a second behind Marquez. Rossi still hasn’t found what he’s looking for, though he just gets into Q2 in ninth. As we move into Q2 and find out our top ten, the Repsol Honda team clinches both top spots. As expected on American Soil, Marquez yet again find himself at the top and alone in the 1m31s, finishing at 1m31.884s. He clenches his 5th pole position his season. Dani Pedrosa get in a great hot lap and secures the 2nd position on the grid with a 1m32.055s. To finish the front row, Lorenzo on his Movistar Yamaha MotoGP grabs the last important front row position, 1m32.186s. Cal Crutchlow riding his CWM LCR Honda almost takes that last front row spot from Lorenzo, but ends up being two hundredths behind Lorenzo’s Yamaha. Danilo Petucci and Bradley Smith have an impressive lap time as well while picking up fifth and sixth. Less than a tenth separate third to sixth on the grid! The Ducati team(seventh/tenth) and Valentino Rossi(eight) can not seem to find the time needed and fall back to the middle of the 3rd row. Championship leader Valentino Rossi on his Movistar Yamaha will have to fight through some stronger riders ahead of him tomorrow; the start will be key! Party Cloudy skies in the low 70s start off the morning warm-up for the MotoGP riders. While it’s a quick session, they can dial in those last minute adjustments. Lorenzo and Marquez found the limit and end up low siding; both riders OK. Now we fast forward to the start of the main event. With nearly 68,000 fans present at IMS, we are ecstatic to see the green light and put behind the three week summer break. The light turns green and we are off! Everyone gets away cleanly and Lorenzo is able to takes the lead into turn 1. He knows on a track like IMS, if he doesn’t attack first and Marquez in front will make things much worse! Rossi has a fantastic start and climbs up to fifth positions after the first lap is completed, while Marquez, Pedrosa, Iannone finish off the top 4. Rossi has clearly found something in the morning and is able to keep a competitive lap time in the beginning stages. Lorenzo also find a favorable setting and just starts grinding out the laps. Are we about to see Marquez finally lose his first American track!? While Lorenzo and Marquez fluctuate between .350 and .100 of a second each lap, that battle behind for third start to pick up. Prior to lap 10, Dani Pedrosa is able to keep a good distance from Rossi at about three seconds, but after six laps, Rossi closes the gap to a mire .144! As the last laps continue, Rossi and Pedrosa keep attacking each other for the last podium position. Back up at the front, lap 23, Lorenzo is still a quarter of a second ahead of Marquez. But Marc Marquez digs deep on the remaining last laps and tries to surprise Lorenzo and it works! By lap 25, Marquez leads by .100 of a second and increases that lead up to the finish line on lap 27, .688 seconds in front of Lorenzo. Marc Marquez on his Repsol Honda has once again won the Red Bull Indianapolis MotoGP race and still comes out undefeated on the United States circuits all while setting a new lap record(1m32.625s) on his 23 lap! Rossi ends up battling with Pedrosa til the end and is able to holds onto third position. Andrea Iannone on Team Ducati finishes off the top 5. Sadly the only American left on the MotoGP grid, Nicky Hayden on his Aspar Honda finishes in 16th. Indianapolis Motor Speedway has yet again shown us a spectacular race and with growing numbers in attendance at nearly 146,000, we hope this won’t be the last time we return to this legendary flat track. It’s been an superb eight years so far! While Marquez was able to secure the top spot on the podium, this means the championship is even closer than ever this season! Jorge Lorenzo many only have gained a few points, but it cuts the lead to nine points! Tho Valentino Rossi has been on the podium every around, Lorenzo has been able to slowly chip away Rossi’s lead. Rossi will need to push harder if he wants to see that 10th MotoGP Championship Victory! I have a feeling we will be in for an exciting second half of the season and I’m hanging off the chair in suspense!! We all lucked out with a picturesque drive into the Poconos mountains with temperatures in the lower 80s and sunny. This summer has seen a lot of rain so far, so everyone was super stoked to have a rain free event.  This is the 2nd year at Pocono Raceway and MPACT separates itself from any other event by combining what we all love, motorsports and car shows. Rolling Race on the tri-oval, HPDE on the inside tracks, Dyno, drifting with a drift taxi, and the burnout contents kept car enthusiast’s busy between checking out vendors and cars. Before the day came to a close, awards were given out the car show, rolling race, & Dyno HP shootout winners along with some bragging rights. Huge congrats to the MPACT team for another fantastic event!! “Come Hell or High Water” is what the ForumlaD fans & drivers said to the race weekends forecast. Rain and at times heavy, plagued this weekend with track conditions changing every other battle. Since the heaviest rain was said to arrive in the evening, the schedule was bumped down one hour which really played in everyone’s favor. While we had some great battles in the Top 32, there was also many favorites that that “The Gantlet” forced an early exit. Between the Top 32 and Top 16, heavy down pours soaked the dried out track, but within a few minutes of the opening ceremonies, the rain breaks and gives the fans a great start to the final battles. Tho the rain had stopped, the first couple of battles looked like they were in slow motion. Drivers had to be extra careful with the lack of grip and steep bank with the transition on to the inter-circle. The final 4 would end in a exciting fashion as a steady rain showing up for the final battle. The first battle (dry track), Dean Kearney defeats Ryan Tuerck. Ryan can only now hope that Yokoi would lose to Aasbo since he qualified higher and could then claim 3rd place on the podium. Luck was on his side as Yokoi makes a few mistakes and Aasbo moves on to the finals. At this point, the rain started to pick up. The drivers were allowed a test run to get a feel for track and then we were off! While the rain returns the drives back to slow-motion drifting, Aasbo is able to gain a lead on Kearney. Fredric Aasbo takes his second 1st place in 2015 while making this his 2nd win at wall stadium speedway. The championship is now wide open, with the top 3 only a few points from each other… going to be an exciting 2nd half!! Enjoy the photos and see you at the next round or via the online stream! The race weekend has arrived and pasted, but it was fantastic from all 3 classes! All eyes were on Marquez to see if he could continue his undefeated season and continue breaking records after records on only his 2nd year in top class. First, lets talk about this years changes to the Indianapolis Motor Speedway(IMS) circuit. After the many years of complains from the riders because of the bumpy and changing tarmac surfaces, IMS has listened. They have now not only repaved the whole circuit, but changed the track layout to have a more flowing track(more exciting racing! ), while still keeping their ‘stop and go’ sections which gives us great opportunities for overtaking! So lets continue with our race weekend, After FP2, Defending World Champion Marc Marquez leaded the back with an impressive .222s(Iannone – Parmac Racing) & .542s(Lorenzo – Movistar Yamaha) in front of his nears competitors. IMS also received positive remarks from all class on the modified layout and resurfacing. Its excited to see Ducati running up front with the other two manufactures, but will it continue the rest of the weekend? As a Nicky Hayden fan, i must note he was absent from his motorcycle(Drive M7 Aspar) and replaced by Leon Camier due to a past injury that needed surgery. Lets hope to see him 100% in the upcoming races! Despite him being absent from his bike, he was joined his family for a press conference on his fathers new book release. If you a Hayden fan, its a must read, as it involves the whole Hayden family. Lets move on to FP3/4 and the important qualifying for Sunday’s race. After Marquez dominating day one, Bradl has posted the quickest time of 1:32.522, about .3 faster than yesterdays quickest lap by Marquez. Rossi and Lorenzo finish off the top 3, while the lone Ducati ridden by Dovizioso finishes 4th and Pol Espargaro finished the top 5 in FP3. Dovizioso maybe not have set the fastest lap in FP3, but he does break the fastest trap speed on a motorcycle at IMS with an impressive 214.5mph! FP4 mostly focuses on fine tuning race setup and getting ready to put in a few fast laps to go for pole position in qualifying. Marquez is back to what he does best, shows up on the time sheet with the fastest time this weekend with a 1:32.391! Bradl drops off from the top 5, but Pol Espargaro, Rossi, Dovizioso, and Lorenzo finish the top 5. The new track layout continues to let the riders hit higher speeds; Pedrosa set the new trap speed record at 216.9mph! As Q1 finishes up, Redding and Crutchlow advance to join the rest of the top 10 qualifiers in Q2. With the limited time to put hot laps in, Marquez takes the fastest lap 12 minutes into Q2 with a pole time of 1:31.619. This marks Marquez’s eighth pole out of the ten races so far this season! The odds of continuing his winning streak looks promising! Dovizioso takes the the 2nd grid position(best qualifying since pole in Japanese GP in 2010) while Lorenzo finish off the front row. Seeing 3 different manufactures up front is always promising for an exciting race! Side note: Kallio picks up his 2nd pole of the season for Moto2 and championship leader Miller on pole for Moto3! Race day is here and it was thrilling! Ducati has really started to get it together this season. Dovizioso has managed to get off the line fighting for the lead along side another Ducati ridden by Iannone. Tho a quick laps down, Rossi takes the lead but Dovizioso keeps a tight leash behind. Marquez has never been known for his starts and get pushed back to fight for 5 and 6th. Lorenzo also falls behind and tails Marquez in the first few laps. While Rossi and Dovizioso battle for the lead, they end up touching allowing Marquez and Lorenzo to sneak their way up to the front. But the show isn’t over, Marquez swings wide a couple turns later and Rossi regains the lead. The top four are within a few bikes lengths of each for almost the entire first half of the race. Its almost like your watching a Moto2 or Moto3 race! With about 16 laps to go, Marquez starts putting some distance between him and pack. Lorenzo and Rossi continue to fight for position 2 while Pedrosa works his way up from 8th on the grid and overtaking Dovizioso for 4th place. Unlike Pedrosa, Dovizioso ends up falling back toward the end of the race to finish in 7th. While the Ducati lost its pace toward the end of the race, it was memorable to see the Ducati finally fighting for the lead in the first 1/2 of the race! A worthy note was Collin Edwards in 13th, which ends his last American race in his motogp career! He will sure be missed! Keep an eye out for an article with just photos i’ve taken of Edwards over the years! The unstoppable Marquez now clinches his 10th consecutive win on his Resole Honda! This is the first time since Mick Doohan in 1997 to have 10 wins in a row in the premier class. Impressive!!! I hope you enjoyed the coverage from this years races, til next year! Enjoy the gobs of photos! Last year’s event was sold out, and this year’s was no different(and yes, i saw many people get turned away trying to get tickets, another reason to pre-order from FD’s website!) Round 4 of the Formula Drift stands up to its name, The Gauntlet. Many veterans of the sport came hoping to leave on the podium or even a possible win, but while some got close, others met the infamous “wall” at the stadium. While we all enjoyed the exciting close battles of this weekend, one of my favorites moments was when Chelsea Denofa goes a bit to high and hits the wall on turn one, unbeading his front and rear tires. Instead of coming to a stop, he continues to drift and give everyone a show until the tires roll off the rim and he can on longer continue. While some came victim of the high banked wall, others like top qualifier and local drifter Chris Fosberg continues his lead in the leadership with a second place finish in his Hankook Tire Nissan 370Z. Fredric Aasbo takes victory in his Hankook Tire Scion Racing tC over Fosberg in the final battle, but Aasbo still remains 59 points behind his Hankook teammate. The win at Wall Stadium marks Aasbo’s first career Formula Drift Win. Aurimas “Odi” Bakchis also has one of his first’s on the podium, making it into 3rd place in his Feal Suspension / Nitto Tire Nissan 240SX. Now on with the photos… enjoy!!! After many years of attending MotoGP at the Indianapolis Motorspeedway, I finally got a chance to experience where Nicky Hayden started his motorcycle career. The famous Indy Mile flat track race happens the same weekend as MotoGP and held at the Indiana State Fair. With the combination of these two events, it really draws in the crowds from all over the world! The racing doesn’t start til the evening, which works out perfect for my schedule(and the fans) as MotoGP and AMA Pro Vance & Hines Harley-Davidson series finishes late afternoon. Since this as my first time shooting this event, I quickly learned to watch out for flying debris from the bikes flying by! Thankfully my gear survived and i got some wicked shots of the races that night!! Enjoy this extra bonus coverage from MotoGP weekend!